Too often we let a job interview send us into a hyper-drive rehearsal of canned answers to standard questions and memorization of dates from our resumes. We show up with our minds whirling from overthinking what we believe we’re supposed to say, distracting us from what’s meant to be a candid give-and-take conversation. After all, your credentials on your resume already helped you make the first cut among the pool of candidates. Now the employer wants to know who you are as a person. Yes, preparation is important before heading into a job interview, but stressing to remember robotic sounding answers and how to inject them in the conversation isn’t the way to go. While you’ll want to have given some thought in advance to your answers to standard questions, such as, “Why do you want this job?”, it’s best to apply your answer within the context of the interview. Let the conversation determine how much, how little or in what direction you take your response. For example, if you sense that your interviewer is pushed for time and wants to keep the interview brief, keep your responses cohesive and make sure not to ramble on. Understand that the best interviews are relaxed and conversational rather than litanies of what skills you bring. True, you’ll have to contend with some nerves and anxiety, but in the end, you’re there to take stock of the organization as well. You want to find out if the interview seems like someone you could work with. Just acknowledging that every interview is a two-way street can ease some jitters. 1. Remember that you’re there to listen, not just talk. Don’t commandeer the interview in an effort to assert your qualifications or to ensure your questions are answered. Be aware of how much each person is contributing to the conversation and try to make it a two-way exchange. 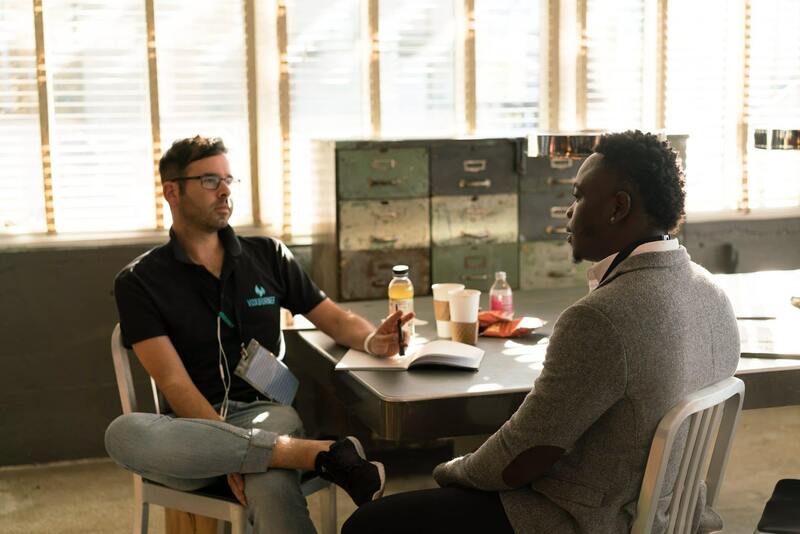 Listen attentively to what your interviewer has to say, keep your anecdotes short and to the point, and refrain from pummeling the interviewer with questions. 2. Look at the interview as a learning opportunity. If you go into an interview with equal measures confidence, curiosity, and composure, you’ll get the most out of the back-and-forth exchange. Try to have fun with it, but without coming off as flippant or cavalier. Think of the interview as a chance to get to know more about an organization and how you might fit in. Look forward to the conversation. Even if you don’t advance in the process or get an offer, you’ll learn something about yourself or your industry that can help you down the road. 3. Find your Zen-like tranquility. Be sure to allow plenty of time when you arrive at the interview location to sit in your car or in the lobby and quiet your mind. Take some slow, deep breaths. Push aside your stress and tell yourself that you’ll be fine and that your accomplishments have gotten you here. Look forward to meeting your interviewer and the conversation you’re about to have. Walk in calm and upbeat. 4. Prepare some questions, but be willing to go off script. 5. Give yourself some credit. Take stock and know that you’re talented, qualified and have a lot to offer. Yes, you want to have a few telling anecdotes to share about how you’ve succeeded in the past, but you’ll also want to think about what qualities would best suit your career needs. Find appropriate ways to lead the conversation toward the work culture you’re looking for. One word of warning: Benefits and perks are off-limits until an offer has been made. Vicky Oliver is a leading career development expert and the multi-best-selling author of five books, including 301 Smart Answers to Tough Interview Questions (Sourcebooks 2005), named in the top 10 list of “Best Books for HR Interview Prep,” 301 Smart Answers to Tough Business Etiquette Questions (Skyhorse 2010), and Bad Bosses, Crazy Coworkers, and Other Office Idiots (Sourcebooks 2008). She’s a sought-after speaker and seminar presenter and a popular media source, having made over 700 appearances in broadcast, print, and online outlets. For more information, visit vickyoliver.com.